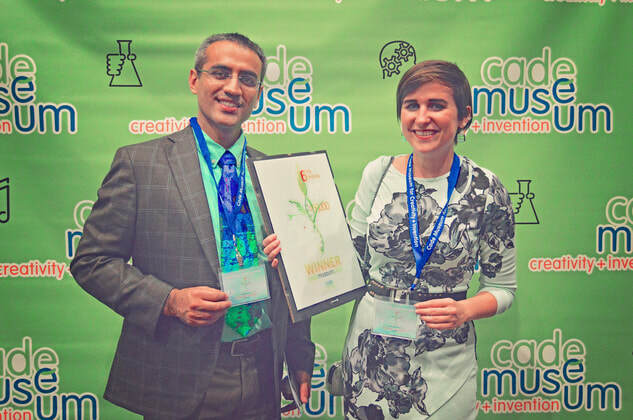 The Cade Prize rewards inventors and entrepreneurs who demonstrate a creative approach to addressing problems ​in their field of expertise ​resulting in an innovative, not iterative, invention. 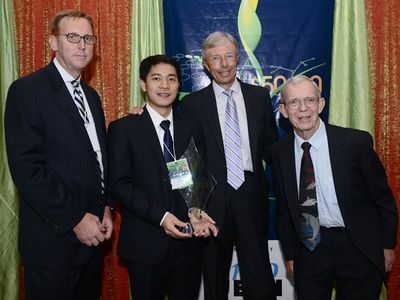 The Cade Prize, established in 2010, rewards individuals and companies with an original idea that has market potential. 2019 Cade Prize cash awards will total $50,000, with a $25,000 First Place award, $15,000 Second Place award, and $10,000 Third Place award. 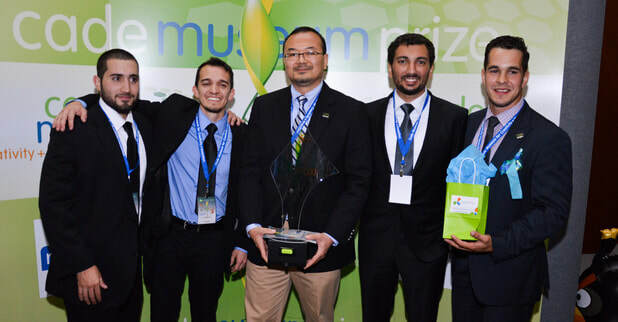 The Fourth Place award provides in-kind services to support acceleration. 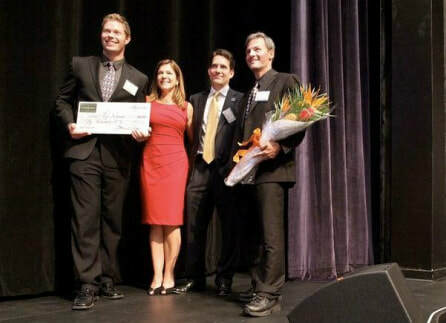 Funding for the Cade Prize competition is generously provided by the Community Foundation of North Central Florida. 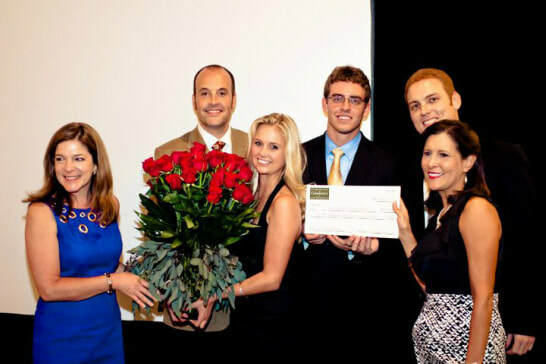 Since 2010, the Cade Prize, has drawn hundreds of applications throughout Florida. 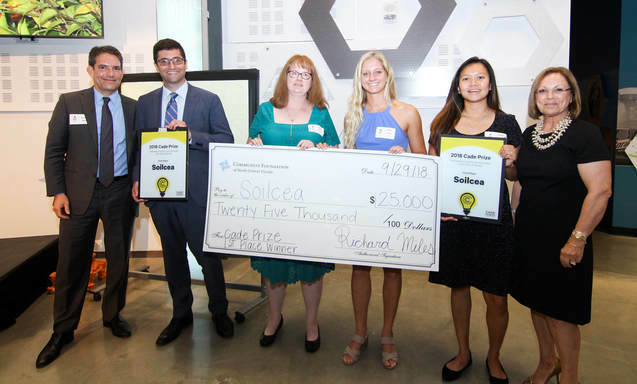 Soilcea, of Gainesville, FL was awarded First Place in 2018 for work with the genetic editing tool CRISPR-Cas9 to create disease-resistant citrus trees (Soilcea is an affiliate member of the USF Incubator at the University of South Florida). Antibiotic Adjuvant was awarded Second Place, Standing Wave Reformers, Third Place, and Init Weather received the Fourth Place Award. 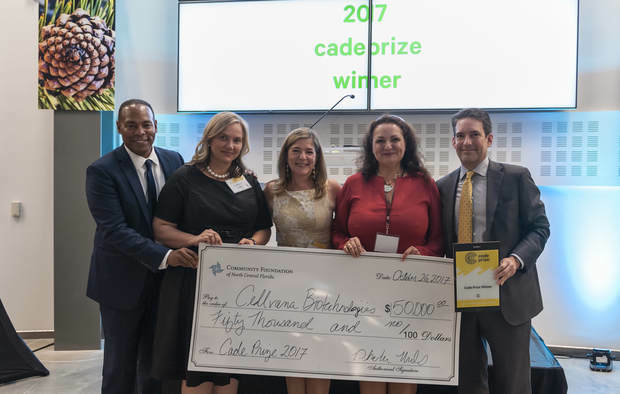 On behalf of Soilcea, Yianni Lagos, Kara Boltz, Pamila Vongdeuane, and Nikki Aiosa accepted their Cade Prize Awards at the Cade’s 2018 Inventivity Bash. 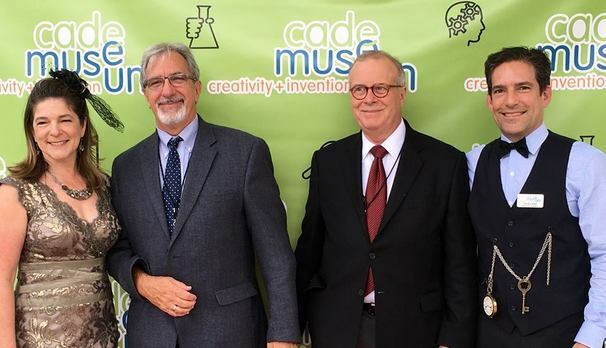 The Cade Museum for Creativity & Invention is thrilled to again host this important competition and contribution to continued invention and innovative advancements in Florida. Follow the exciting Cade Prize news by enrolling for email updates today! 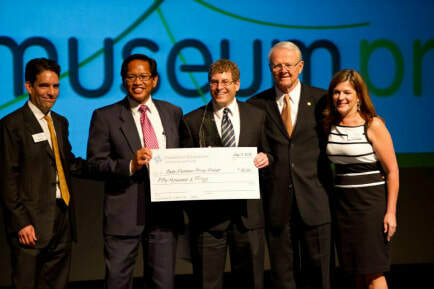 ​The Cade Museum Prize is open to Florida residents and Florida-based companies, in any sector. We are looking for innovative and creative ideas that have great potential impact and market credibility. The 2019 Cade Prize application cycle is currently closed. ​Yes—there is a $55 dollar, non-refundable application fee that is required to submit your application. What criteria will judges use to score my application? How innovative is the idea? What is the potential impact if the idea becomes successful? Does the invention have market credibility? What is the overall strength of team? How many rounds of judging are there? There are two rounds of judging. Once you submit your application no further materials are required from you, unless otherwise requested. The first round of judging narrows the applications to the “Sweet 16” teams. The second round of judging takes the Sweet 16 to the Final Four. When will I be notified if my idea has made it to the next round? The first notification to applicants will come after the first round of judging when the Sweet 16 are announced. Sweet 16 finalists will be contacted and given further information about next steps in the process. Those applicants not selected will be notified via email. Does the Cade Prize take equity in my idea if I win? You can contact cadeprize@cademuseum.org with questions or comments.